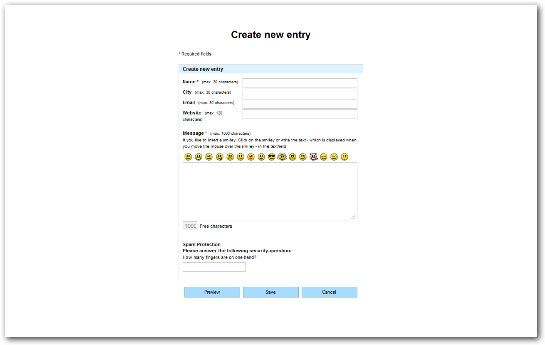 Are you looking for a guestbook with spam protection for your website? In addition to our contact form, we can also provide you with a spamproof guestbook script offering a full range of functions! The PHP guestbook features an appealing design (Responsive Design) and is extremely easy to install and customise. It also offers the user a range of snazzy smileys! Are you getting guestbook spam despite CAPTCHA? Not with our guestbook! Note: The download link is at the bottom of the page! No knowledge of PHP or other IT skills required! Barrier-free - valid XHTML/CSS and responsive! Responsive Design / mobile-friendly - Optimized for smartphones and tablets! 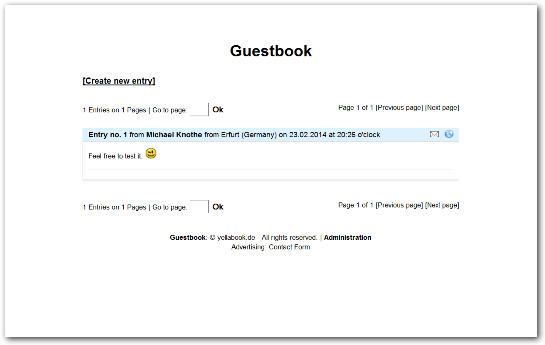 The guestbook is only available on the manufacturer`s website YellaBook.de. 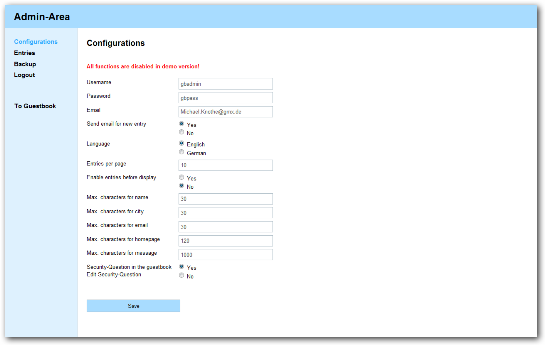 The website also contains the installation manual and the licence conditions. Do you need an individual inquiry form for your homepage? No problem! Write to us!